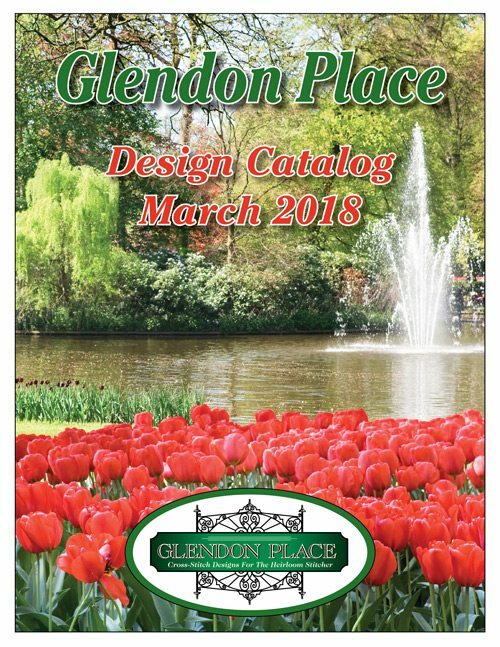 See all the Glendon Place designs in a 51-page, full color catalog. Catalog includes information such as stitch count, design size, type of fabric used and a brief list of materials needed to complete each design. Pricing sheet and order form also included with catalog. Perfect for the stitcher who would rather shop from a printed catalog versus online.